Sheldon Wild Horses. Photo credit: Mike Lorden. RENO, NV (Sept. 13, 2013) — Legal action has been filed against Sheldon National Wildlife Refuge (NWR) today in federal district court. The suit makes two claims: Sheldon NWR fails to follow policy to protect horses removed from the range from entering the slaughter pipeline, and Sheldon violates the First Amendment by failing to provide the public meaningful access to horses. Sheldon has stated in documents governing removals, as well as to the public, that they provide protections for the horses from being sent to slaughter and follow up on placements facilitated by their carefully chosen adoption agents. Only after a member of the public, co-Plaintiff Bonnie Kohleriter, gathered information that Sheldon horses were still being sent to kill buyers did Sheldon investigate. Even after an investigation, done by Brian Day manager of Sheldon and John Kasbohm the program Director, showed considerable risk to Sheldon horses, the contract was renewed with this same offending adoption agent, J&S Associates. Sheldon NWR plans to send as many as 252 horses, at a cost of more than a quarter of a million taxpayer dollars, back to J&S Associates of Mississippi, in early October. Horses residing in Sheldon are primarily descendants of cavalry remounts that served our country as late as the World Wars. Sheldon NWR plans to remove all the horses from the Refuge in the next two years claiming they are incompatible with the mission of the refuge. Even though a herd of long-horned cattle is protected at Wichita Mountain Wildlife Refuge, part of the same refuge system as Sheldon, the historic value of these horses that inhabited the land prior to the founding of Sheldon, whose ancestors valiantly served our country, is not recognized as worth preserving. Laura Leigh, co-Plaintiff and founder of Wild Horse Education has been following and fighting for protections for the Sheldon horses for over a decade. In 2009 she filed litigation that addressed Sheldon’s failure to protect horses from slaughter as they stated in their policy documents. In 2010 she was reassured by the Refuge that they had chosen a new contractor and would follow up to ensure compliance. Instead of being transparent about what they are doing, the Refuge has done all they can to hide their actions. In 2010 they removed horses without giving public notice and from 2010-2012 failed to provide any observation of removals at all. Earlier in 2013 the Refuge removed the burros that inhabited the area without so much as a press release. This year an observation opportunity for the horse removal was afforded to the public only after Wild Horse Education attorney Gordon Cowan wrote a letter on behalf of Plaintiffs. 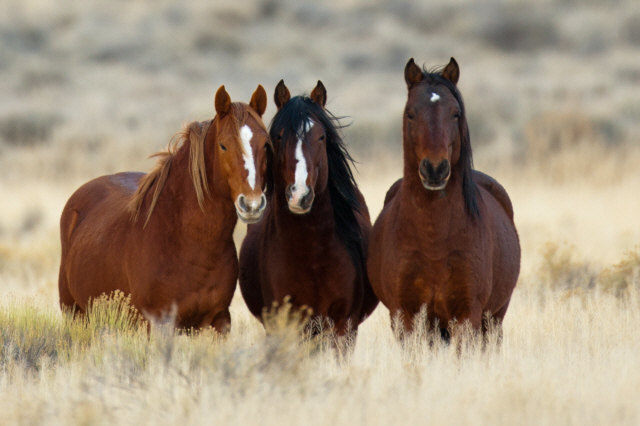 A Temporary Restraining Order will be sought to stop the transport of horses from the range and to demand that documentation opportunities be afforded to document all horses in holding prior to them leaving the Refuge. Hello! I am attempting to locate a print of the “Sheldon Wild Horses” by Mike Lorden, posted on Sept. 13, 2013 by Tuesday’s Horse. Would someone please contact me or send me the information? We’ve been searching high and low and can’t find him. We will keep looking. If you find him before we do, please let us know. Thank you! I have spoken with several people involved with the wild horses and so far they don’t have a contact for him either.